It's almost that time of year again — the biggest holiday celebration after Christmas is just around the corner! With Easter just a few days away, it's time to start thinking about decorations, food, and gifts. 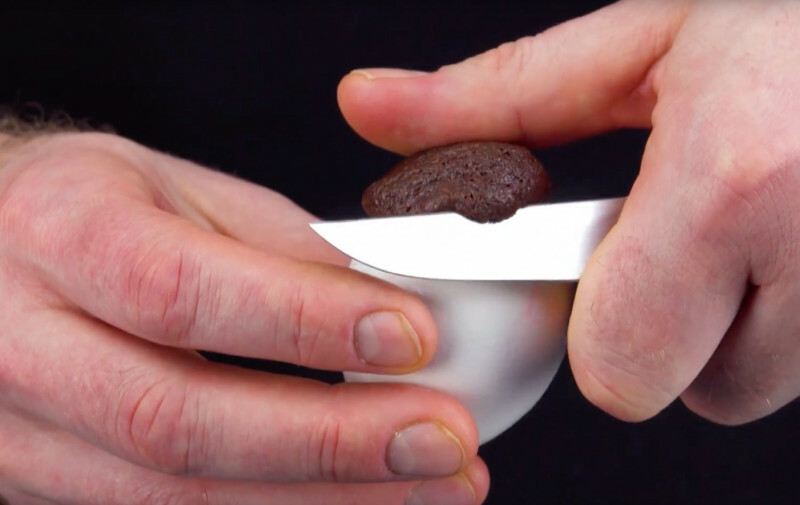 To stimulate your creativity, we've come up with the following egg-cellent recipe! 1. To start, clean the eggs with warm water and dish soap. 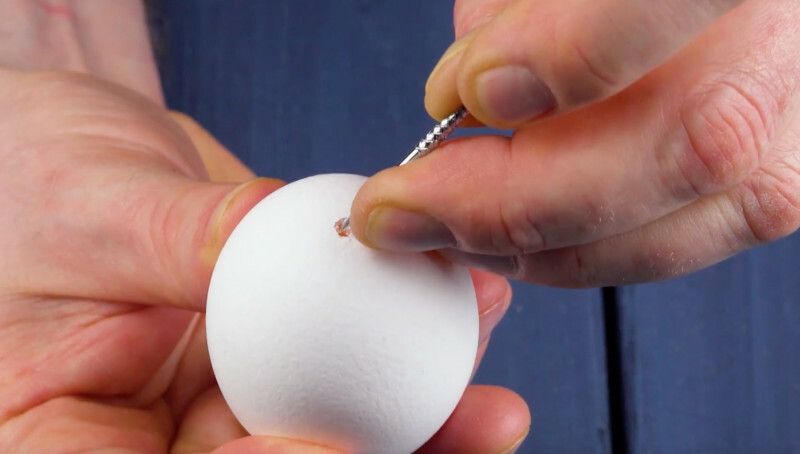 Stick a nail into the flat end of the egg to create a hole. The hole should have a diameter of about ½ inch. 2. 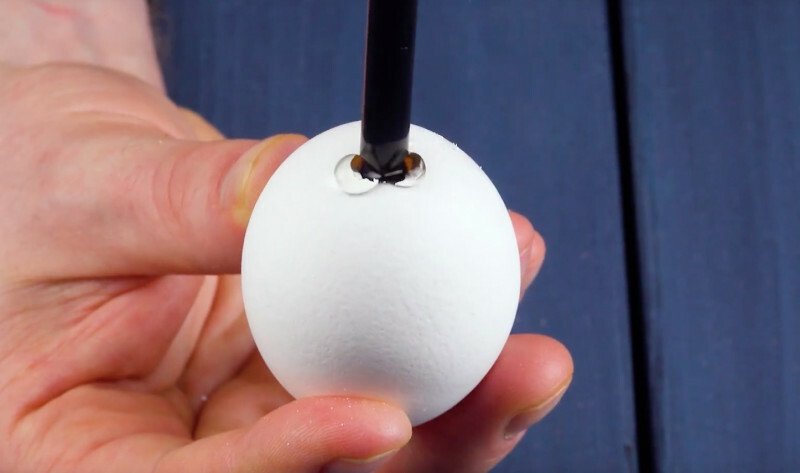 Stick a straw into the egg and briefly blow into it. Now pour out the egg white and yolk through the hole into a bowl. Do the same with the other eggs. Collect the contents of the eggs in two bowls: two eggs in a large bowl, the other eight in a different one. The two eggs in the large bowl will be used for the batter later. 3. Rinse out the hollow eggs and place them in a bowl containing cold salt water for at least 30 minutes. 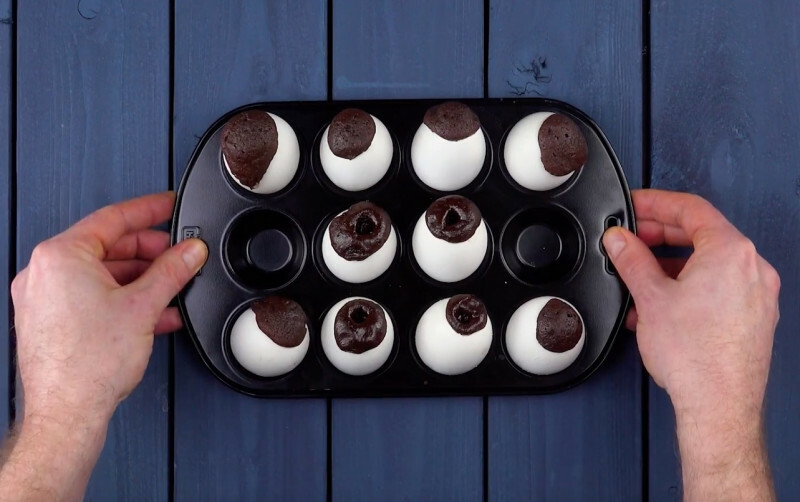 Place the egg shells in the mini muffin pan and dry them out in an oven set to 125°F. Next, preheat the oven to 360°F. 4. 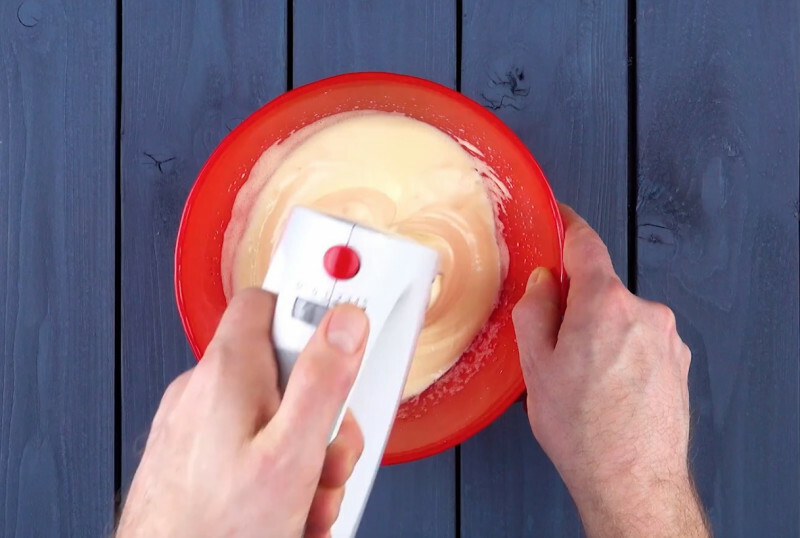 Mix the two eggs from before using an electric whisk while adding sugar and salt. Keep whisking until you have a foamy mixture. 5. It's now time to prepare the batter. 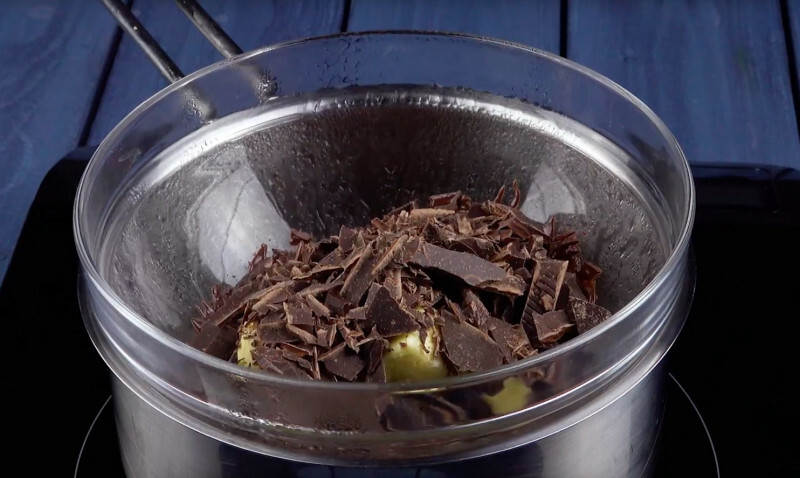 First, chop up the chocolate into small pieces and melt it with butter over a water bath. 6. Now add the chocolate and butter mixture to the batter. Sieve the flour and cocoa on top before mixing everything into a smooth mixture. 7. Drip a few drops of oil into the egg shells and turn them several times until the inner wall of the shell is covered in oil. 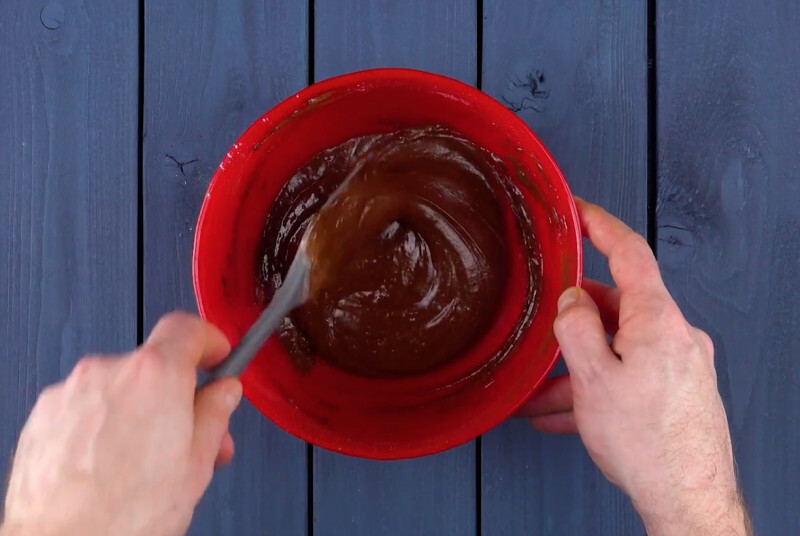 Fill a piping bag with the batter. 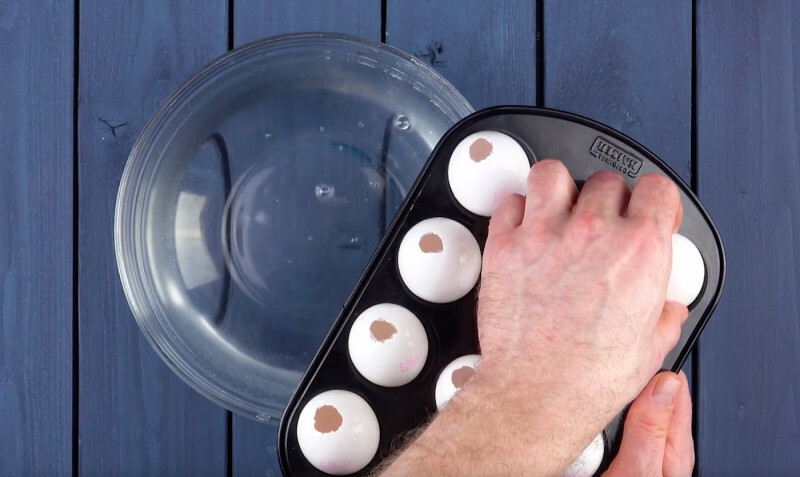 Pipe batter into the eggs until they're ¾ full. Bake them at 360°F for 15 to 20 minutes. 8. Carefully scrape off any excess cake from the outside of the shell using a knife and clean them with a moist kitchen towel. 9. "Drill" a wooden skewer into each egg, but not right down to the bottom. 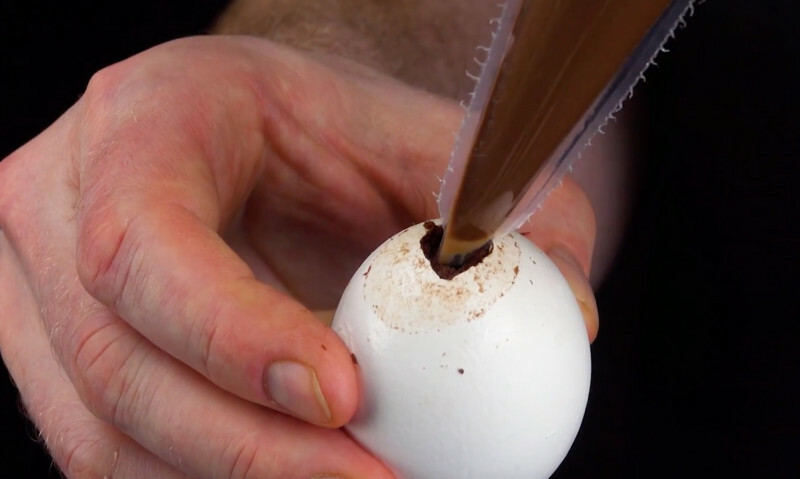 Next, fill another piping bag with Nutella and pipe it into the egg until it fills up the hole left by the skewer. Your Easter surprise is complete! Wow, that looks delicious! After breaking into the egg, indulge in the delicious creamy center surrounding by soft, moist chocolate cake. Happy Easter!